One thing that I was most nervous about when we had Little M was taking her home from the hospital. She was so tiny, all we could think about was how to keep her safe when, for the first time, there were no midwives, doctors or health care assistants to tell us what to do. How would we know that the car seat was fitted properly? That she was strapped in correctly? Fortunately, while I was pregnant we went to a Mothercare expectant parent event, and the Norfolk Road Safety Team were on hand to answer questions about car seats. It was there that I learned all about ISOFIX bases and the new i-Size safety regulations. 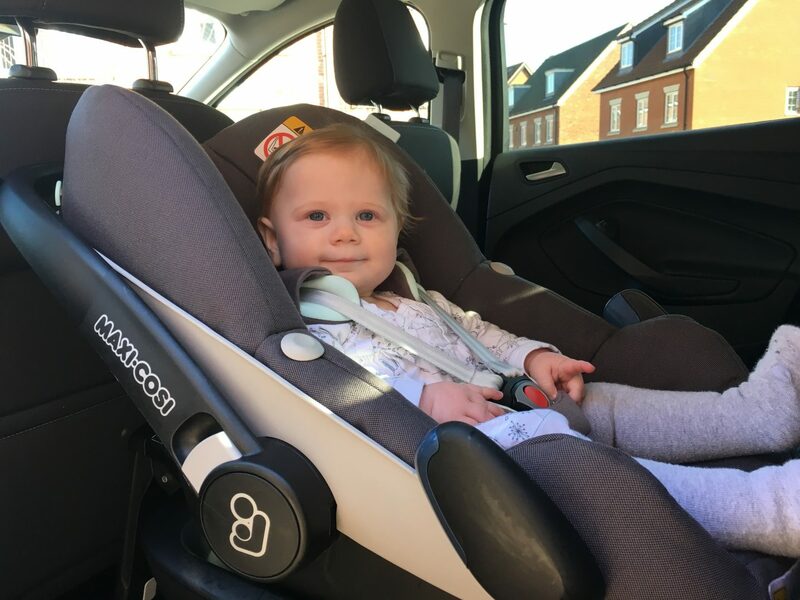 We were also told that Maxi-Cosi test their seats above and beyond the level at which the law requires, which satisfied me that Maxi-Cosi was the brand for us.We bought the Maxi-Cosi Pebble Plus car seat and the 2wayFix base. The Maxi-Cosi Pebble Plus car seat can be fitted rear-facing with a standard seat belt. You can see how in the video below. However, it’s much easier to fit using an ISOFIX base. Simply clip the 2wayFix base into the ISOFIX anchor points in your car, then the car seat just clicks into place on top. Make sure that the carry handle is in the upright position, and you’re good to go. I liked the idea of the 2wayFix base as it fits the next size car seat too, meaning it should last Little M until she’s around four years old. The base has three lights on it to let you know that everything is set up correctly; one for when the base is properly fixed to the ISOFIX anchors in the car, one for when the leg is adjusted properly and one that lights up green and gives a little beep when the seat is attached securely. If something isn’t quite right, the corresponding light turns red and the unit will beep relentlessly; there’s no way you could drive off without knowing it wasn’t completely safe. We’ve been using the Pebble Plus with the 2wayFix Base for ten months now; Little M is nearly ready to move on to her next car seat. We’ve never had any problems with it and have used the Pebble Plus on both the Uppababy Vista and Hybrid Stroller pushchairs, using the appropriate adapters. It’s easy to put on, and take off, both pushchairs and straightforward to fit to, and remove from, the 2wayFix base. The infant insert was perfect for when Little M was tiny, and the straps have been easy to adjust as she’s grown. Little M has always been a happy traveller, which is testament to the comfort of the Maxi-Cosi Pebble Plus. 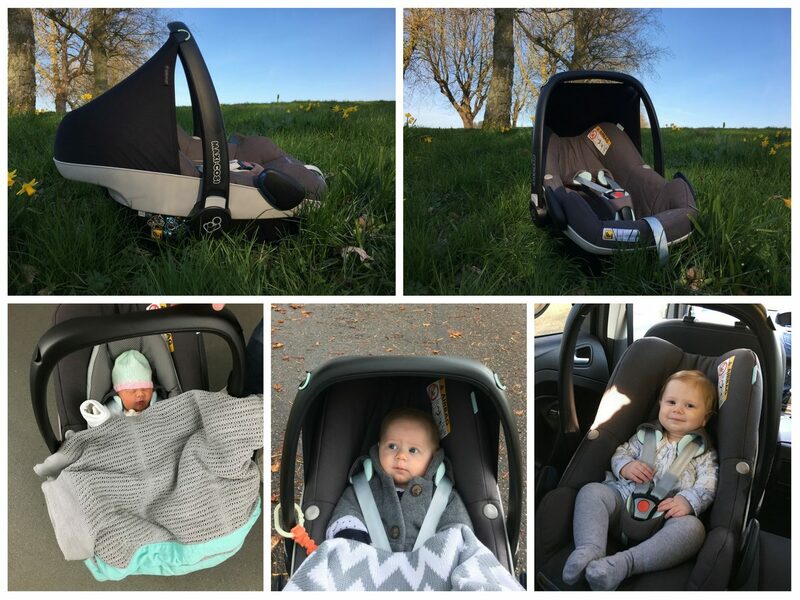 "How we got our nine month old baby to sleep through the night"
I don’t think that you can go wrong with a maxi-cosi for their car seats. They are just a brand that you know you can trust. We used them for both our children and their seats were brilliant and the kids always seemed very comfortable in them. I really wish we’d gone for this. I bought a Cybex which cost a lot more for addition features that I have never ever used! Love that this is a great all rounder product that’s high quality! I think Maxi Cosi really lead the game in car seats and this looks like a fab edition as always! What a little cutie you have! I really wished that when mine were smaller I had invested in a fixed base seat, as wrestling with the seatbelt was never fun and felt a lot less secure. Safety is so important and I love that this brand go above and beyond the minimum testing required. The lights and beeping system is a fab idea meaning that no one will be able to make a mistake while fitting the seat and not realise. Really great product! Oh that is great the base can be used for longer like that. 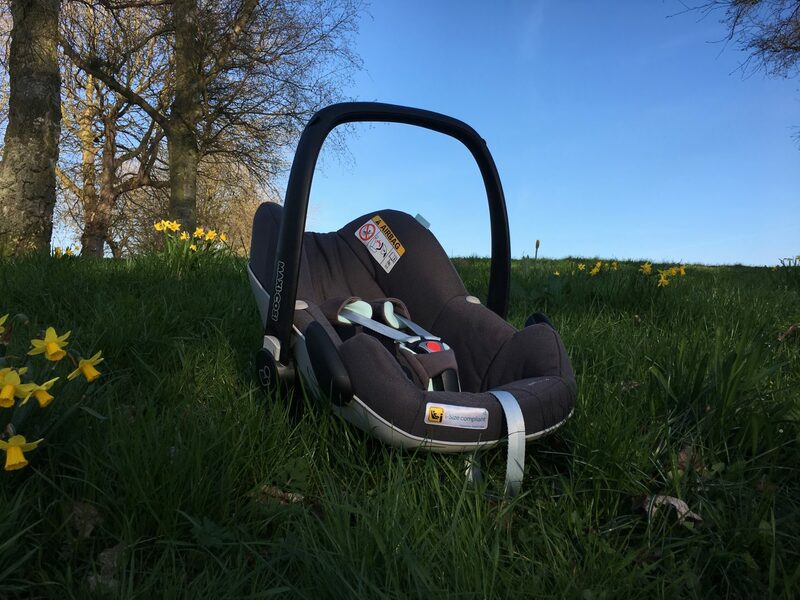 We hardly used our newborn seat and base at all before moving onto a bigger rear facing seat and I felt it was such a waste.